“Aruba ta bonita!” Aruba is beautiful! It’s no wonder Aruba’s slogan is “One Happy Island”. With beautiful beaches, friendly locals and gorgeous weather, you can’t help but smile. The good news is that you aren’t limited to staying on your resort. 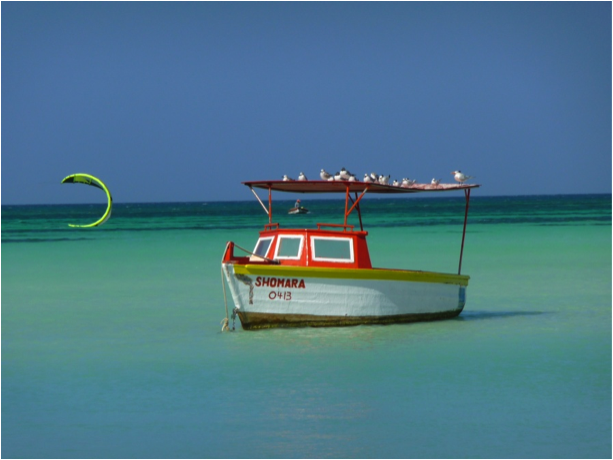 Only 33km long, Aruba is small, safe and easy to get around quickly, making it ideal to explore at your leisure. US currency is accepted and English is widely spoken, along with Dutch, Spanish and their local language, Papiamento. 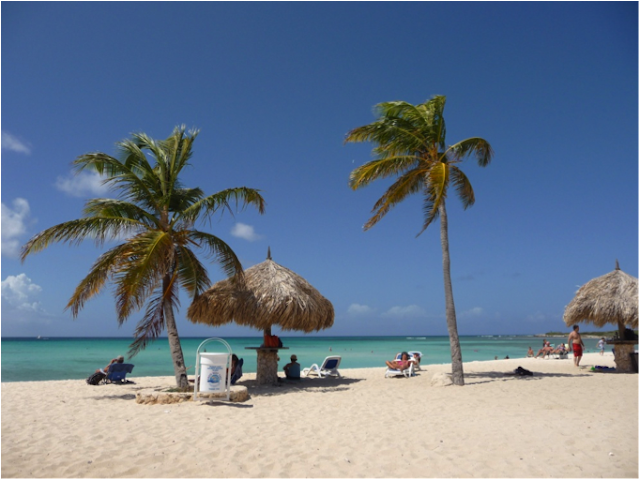 If you’re daydreaming about picture perfect turquoise water or looking for a place to relax on the beach and let your worries drift away, Aruba is the perfect choice. All beaches are open to the public and many are accessible by Arubus, a safe and convenient local bus system costing $2.50 USD roundtrip. Palm Beach - Home to high rise hotels such as the Riu Palace, Marriott and Hyatt, Palm Beach stretches for two white sandy miles. Swim the calm, shallow waters or take peaceful walks along the beach. Hotel chairs are available for use and several water sport concessions provide plenty of activities such as jet skiing, wind and kite surfing, tubing and parasailing. Walk the high rise boardwalk and explore the hotel grounds (be sure to see the luxurious Hyatt). Arashi Beach – Spend a lazy or active day of sunning and swimming on a smaller and quieter beach. A great snorkeling spot, follow tropical fish along coral reef formations fairly close to shore. Beach chairs rent here for $5 USD. Baby Beach - Named after its shallow tranquil water and baby soft sand, Baby Beach is ideal for families looking to swim and snorkel. A little trickier to get to and requiring a car rental, a taxi or booking an excursion. Things to consider before taking off to the beach: Are amenities (food, washrooms) available? Are there huts for shade or chairs for rent? Note: you will need to provide your own snorkel gear. Excursions – Ranging from $75-100 USD, excursions are a fun way to experience the island. 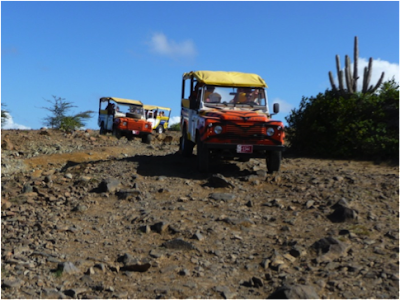 Check out ABC Island Jeep Tours for a tour around the entire island. Highlights include Baby Beach and the Natural Pool. Warning: this tour may involve very bumpy off-roading. 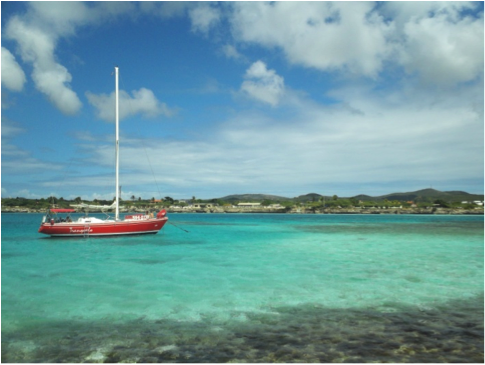 Try a Sail and Snorkel tour like Tranquilo which takes guests on a relaxing sail to snorkel at a secluded reef island. Riu Palace Day Pass – If you aren’t staying at a resort, this is a great way to indulge and try one out for a day. $130 USD will get you an all day pass to the hotel grounds, pool, unlimited drinks and all-you-can-eat buffets. Feeling lucky? Head over to the Cool Gaming Casino and test your luck. The High Rise Hotel Strip – Safe and fun for a night on the town! With a large selection of restaurants, bars, souvenir kiosks and shops, there is something for everyone. Shopping for souvenirs? Consider a piece of beautiful recycled glass jewelry. Make sure you also try Pastechi, a local pastry made of sweet fried dough and stuffed with yummy fillings such as cheese and curried chicken. Natalia Dziubaniwsky is a lover of life, avid traveller, animal lover, movie buff, volunteer, budding writer and is always seeking a new adventure. 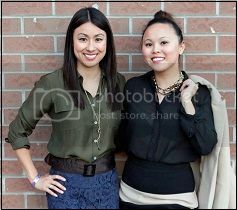 Interact with or simply follow her footsteps through her blog. Oh, so much to do! Sounds like a 2 week holiday is the way to go! One week for activities and one week to relax on the beach.